These signs are so cute! 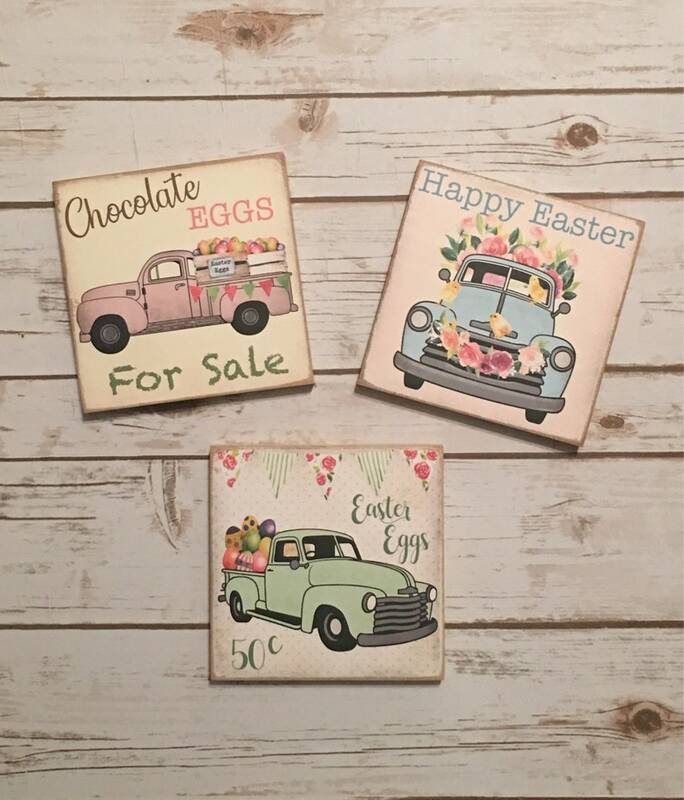 The signs are made from wood and the sweetest Easter prints. Available as a set of 3 or available as individual signs. Save when you purchase all three as a set. Each sign measures 6" x 6" x 3/4". Each sign is distressed for a timeworn look. The sides of the signs are painted cream and the back of the signs are finished in black. The signs can be propped on a shelf, displayed in a bowl, on a tiered tray or hang them with the provided attached sawtooth hanger. Handcrafted by Daisy Patch Primitives. The signs are made upon receipt of order...please allow 1-2 weeks for delivery. Super cute sign! Well made, great quality! Fast shipping. Thank you!